This study was conducted to investigate the challenges of students for the school of special needs in Kwara State. The descriptive survey research design was used by the researchers for the study. The purposive and simple random techniques were used in selecting 200 special needs students in the school. The questionnaire titled “Challenges of the Students in the School For Special Needs Questionnaire” (CSSSNQ) was administered by the researchers with the help of trained assistance to the respondents in order to elicit information from the sampled respondents. The items of the questionnaire were content validated and test re-test method was used to determine the reliability coefficient of 0.79. The major challenge of these students was their difficulty to relate unimpaired persons. Percentages were used to present the demographic data, while t-test and Analysis of Variance were used to test the four generated hypotheses. There were no significant differences found in the challenges of students of special needs school in Kwara State on the basis of gender, age, religious affiliation and their type of disability. Based on the findings of this study, it was recommended that alternative educational activities should be provided for these exceptional children. Also, the counselors can give social support to these children through counseling. Abang, B. T., (2005). The exceptional child: Handbook of special education, Jos, Nigeria. Akinpelu, O.F. (2004). Managing Handicapped Student in Schools. In A. Idowu (ed.) Guidance and counseling in Education, Ilorin. INDEMAC publishers (NIG.) Ltd.
Akinyemi A.A. (2004). Causes of handicapping condition as perceived by parents in Ife North Local Government, Ipetunmodu, Osun State. An Unpublished B.Ed. Thesis, University of Ilorin. Ainscow, M. (1990), “Special Needs in the Classroom: The Development of a Teacher Education Resource Pack”. 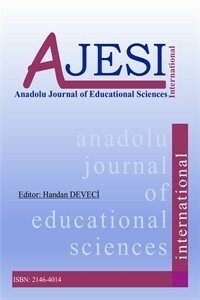 International Journal of Special Education, 5: 13-20. Anderson, D. W., (2004). Human rights and persons with disabilities in developing nations of Africa. Paper presented at the 4th Annual Lilly Fellows Program National Research Conference, Birmingham, AL. Anderson G (2004). Hearing impairment, coping strategies, and anxiety sensitivity. Psychol. Med. 10: 35-39. Bain, D. (1982). Instructional design for Special Education. Englewood Cliffs, New Jersey: Educational Technology Publications. Bakere, A.C. (2000). Integration in education: The case of education for the handicapped children in Nigeria. International Journal of Special Education, 7, 225-260. Bancroft, J. (2001). Support in science for students with special education needs. Science Education Newsletter, 153, 1 – 5. Crisp, R, (2002). A counselling framework for understanding individual experiences of socially constructed disability. Disability Study. 22: 20-32. Daramola O.S., (1992). Research Methods and Statistical Analysis in Education. Ado-Ekiti: Petoa Educational Publishers. Eleweke C. J., (1999). The need for mandatory legislations to enhance services to people with disabilities in Nigeria.Disability &	Society, 14, 227-237. Fakomogbon A.M., (1998). ‘Teachers awareness of resource and services needed for integrating handicapped students in the public schools in Ilorin, Kwara State’. Ilorin Journal of Education 18, 26-35. Federal Ministry of Education, (2004).National Policy on Education. Lagos, Nigeria: Author. Ihunnah A. C., (2004). The status of special education in a developing country: Nigeria. Unpublished Doctoral dissertation, Virginia	Polytechnic Institute and State University, Blacksburg, VA.
Ogunsanya A, (2010). Federal College of Education (Special) Oyo State, Nigeria. Retrieved from: www.directory-	Nigeria.org/federal-college-of-	education special-Oyo, on March, 20 2012. Onwuegbu L.O., (2008). The Nigeria culture: Its perception and treatment of the handicapped. Unpublished essays, Federal Advanced Teachers College for Special Education, Oyo State, Nigeria. Okoye O. (2010). Support systems and coping strategies available to physically challenged students in University of Nigeria, Nsukka . Department of Social Work, University of Nigeria, Nsukka, Enugu State, Nigeria. International Research Journals, 1(11) 666-67. World Health Organization (1980): International Classification of Impairments, Disabilities and Handicaps a Manual of Classification. Relating to Consequences of Disease. Geneva: World Health Organization.